Webflow is a fantastic tool to create websites in no time. 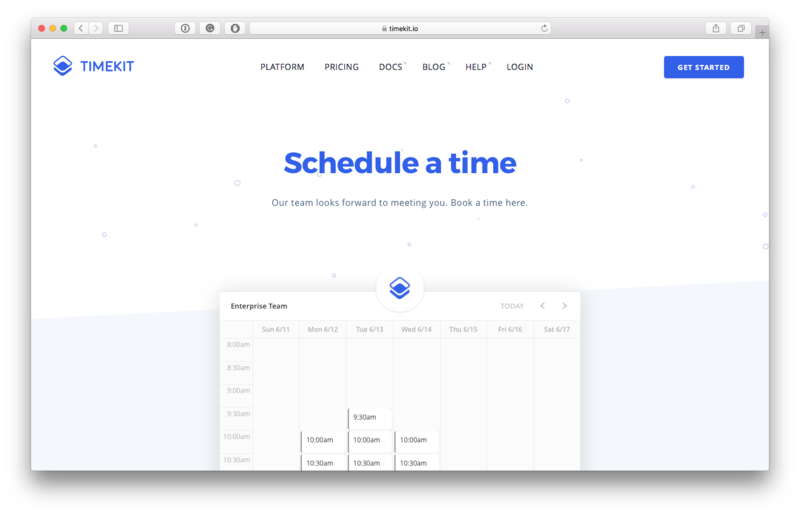 In fact, we have been using it for years to design, develop and host our Timekit.io page. 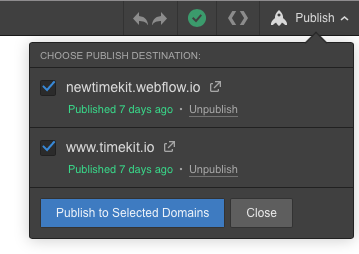 In your Timekit dashboard find the project you wish to show on your Webflow page and navigate to the 'share' tab. Copy the script. 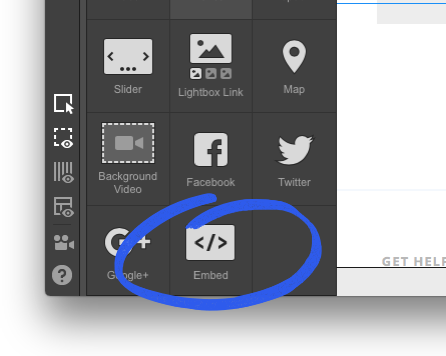 Double-click the element you've added to your site and paste in the script from Timekit. You won't be able to see the Timekit widget before you go live. 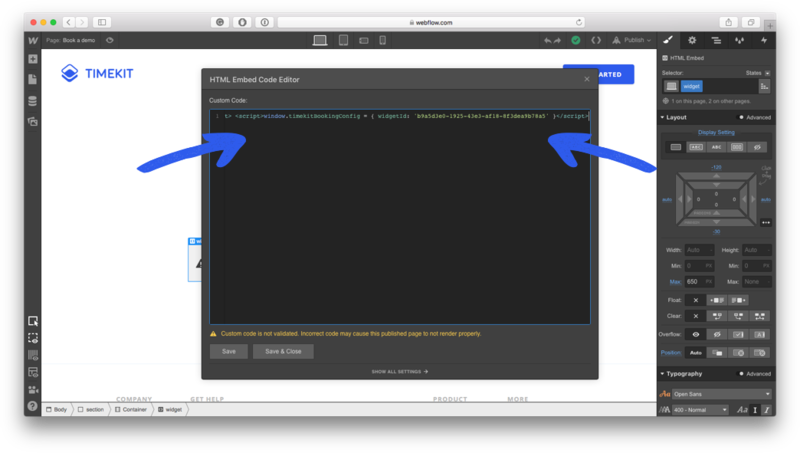 Fortunately, putting sites live in Webflow is literally just a click of a button. 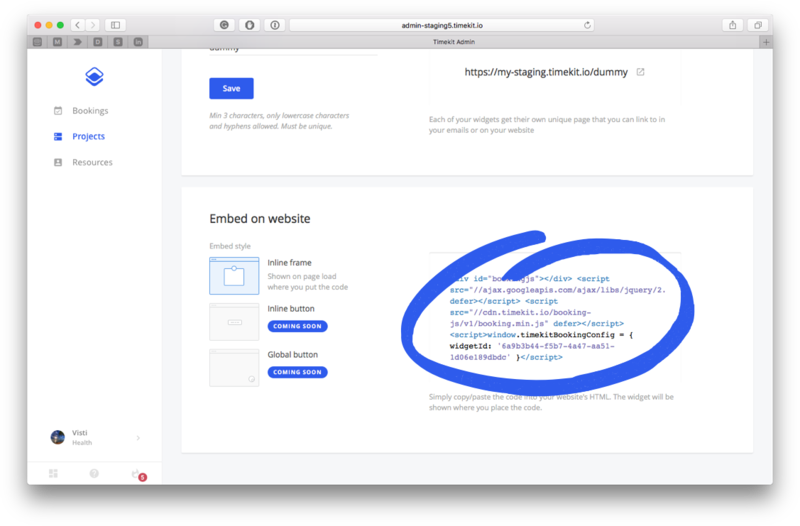 Give the <div> element of your 'embed element' a max widget of 650px and auto left + right margins to ensure that the widget is floating nicely in the middle in an appropriate size. The -120px top margin and -30px bottom margin is to make the widget stick a little outside the background we are using on the page.